Partner Ian De Witt will speak at the upcoming IBA Law Firm Management Conference: Growth Prospects for Law Firms in Asia. The Conference will be held at the Mandarin Oriental Hotel on 18 and 19 January. Using technology to enhance efficiency and meet client needs more closely – will innovative fee structures derive better value? Attendees will receive 4.5 CPD points from the Law Society of Hong Kong. 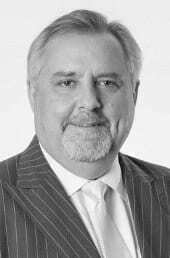 Co-head of Restructuring and Insolvency at Hong Kong law firm Tanner De Witt, Ian is a highly ranked and awarded insolvency lawyer and litigator. He has almost three decades’ experience within the field having worked in both London and Hong Kong firms. Ian acts for liquidators, receivers, creditors and directors in a variety of insolvency and restructuring cases. Ian is consistently ranked as a leading lawyer for restructuring and insolvency in Hong Kong by various industry publications including Chambers Asia 2018 (Band 1), Asia Pacific Legal 500 2018 (Tier 1), IFLR1000 and Who’s Who Legal. “Ian De Witt, in my opinion, is the best insolvency lawyer in Hong Kong.” Chambers and Partners 2018.